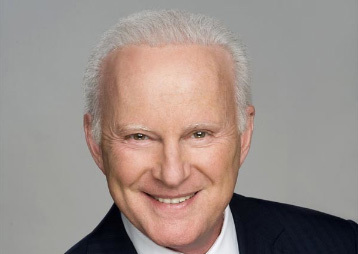 Dr. Sheldon Herzig is one of the world’s most respected and experienced laser eye surgeons. He has pioneered the development and application of leading-edge technologies in advanced cataract and refractive surgery. He has also done extensive work on the use of ultrasound and foldable lenses in advanced cataract surgery and the development of outpatient cataract surgery. Dr. Herzig’s work with thousands of patients has led to technique innovations on which he has lectured extensively around the world. He is respected by the medical community worldwide for his publications, scientific papers and formal presentations. Dr. Herzig completed his ophthalmology residency at the University of Toronto, after which he completed a fellowship in corneal and cataract surgery at the Mary Shiels Eye Hospital in Dallas, Texas, where he was trained in the most advanced micro-surgical techniques for cataract and refractive surgery. Dr. Herzig is a member of the surgical staff at North York General Hospital. In 1996, Dr. Herzig co-founded the Herzig Eye Institute with businesswoman Cherry Tabb. A centre of excellence that is recognized worldwide, the Herzig Eye Institute and Dr. Herzig have treated more than 150,000 patients from all over Canada, 42 states and 23 countries worldwide, from Bermuda to Singapore to South Africa and has trained – and treated – several hundred of the world’s leading advanced cataract and refractive surgeons. Since the initiation of laser vision correction technology, Dr. Herzig has been recognized as a leader in the use of laser technologies in refractive surgery. Eye surgeons and optometrists from all over the world attend his courses on Laser Vision Correction technique. Dr. Herzig prepared the Recommended Guidelines for Laser Refractive Centres in Canada, which is distributed through the Canadian Society of Cataract and Refractive Surgery and has assisted the College of Physicians and Surgeons in provinces across Canada in evaluating standards of surgical practice. He is the past president of the Canadian Society of Cataract and Refractive Surgery (1998-2000) and continues, through his practice and teachings, to be on the cutting edge of his specialty using the most advanced state-of-the-art technology to provide each patient with a custom vision correction to meet their unique needs.